GIFTGASATTACK - Moraliskt Förfall 12" + D&R/PND merch = OUT NOW! 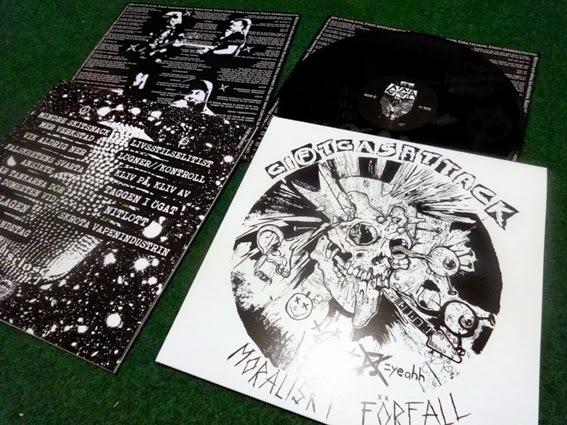 * Giftgasattack - Moraliskt Förfall 12", limited edition on white wax w/ sticker + patch = SOLDOUT! Exclusive Crash Mange design, front + backside print. Black shirts with white/yellow print. Navy blue canvas bags with red print. 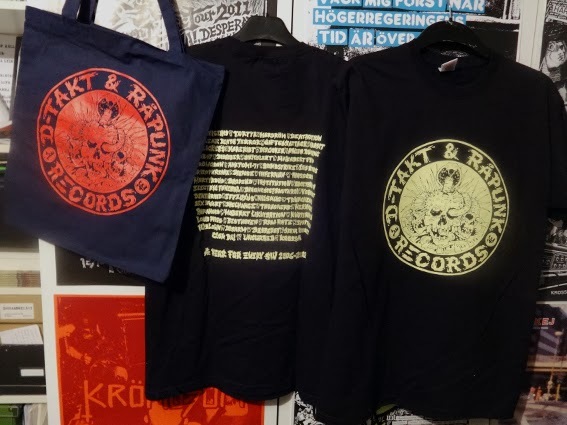 Bags for free with orders over 300sek, just ask for it! 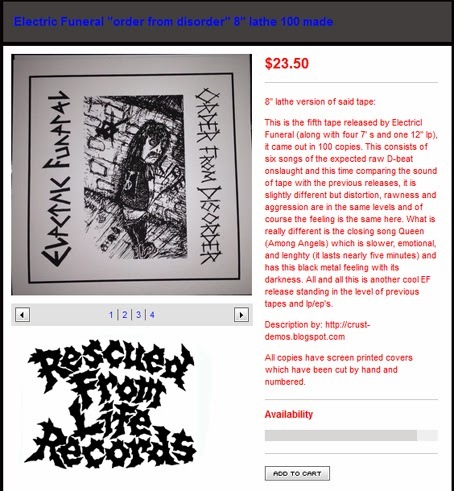 The US label Rescued From Life asked me if they could make a limited version of the sold out cassette "Order from disorder" and since I'm a total sucker for limited stuff and the cassette only was made in 100 copies I agreed to make another 100 more, but as a 8" lathe with screenprinted covers. 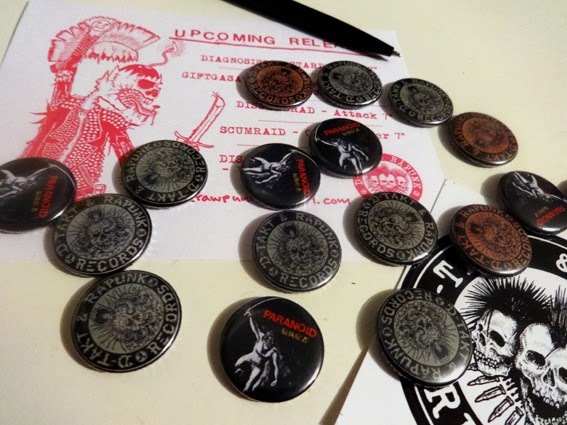 I will have a very few for sale but if you don't wanna miss it out you better mail the label right away by clicking HERE to place your order. I've started working last monday and my schedule have been tighter then your a-hole. I will take the time as soon as I find it to answer your mails. Once again...sorry my "laziness". I have more updates to do as well... coming soon. Just leave it as that. Haha.